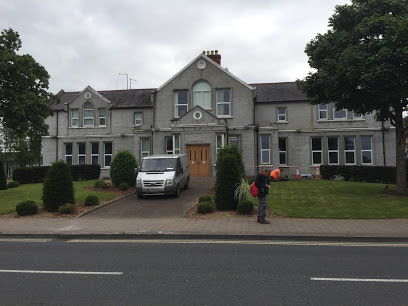 We have expanded and are now opperating from our new home at Preston Place, Navan. 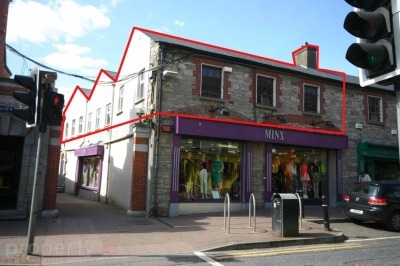 We are upstairs in the building over Minx clothes shop, next to 'Pink' accessories. Preston Place is the walk way that you can see between the red pillars. If you have been with us before if you stand outside the church gates (Trimgate Street side) you will see McDonald's restaurant across the road and we are the walkway to the right, 'Preston Place', first door on the right upstairs. Parking is available on the main street (Trimgate Street) and behind Dunne's Stores Grocery after 6pm and on Sundays. During the weekend park in the football pitch (Navan O' Mahoney's) for€2.50 euros per day. The venue is in the center of Navan. The easiest access is to drive to town center. If you get lost ask for Trimgate Street and Mc Donald's. You have to pay parking in Navan town between 9am-6pm, €1.40 per hour in Navan and move your car after three hours so please use the long term car parks that we suggest for €2.50 per day. You will have a choice of long term car parks see directions below. When walking cross over to the back of the shopping centre and you will see Abbey Medical Centre. Walk through the shopping center and come out the other end passing Dunne's Store's Home Store. When you come out of this entrance turn right and walk to the pedestrian lights, Look across the road you will see Dunne’s Stores Grocery opposite you which you will then walk too. When you get to the back of Dunne’s Grocery turn left and walk into this area, if you look right you will see steps and an archway with a sign saying Preston Place. Walk up the steps and you will see 'Breda's' ladies clothes shop and the barbers then McDonald's on the right, we are the last door on the left beside Pink. Ask for Mc Donald's if lost. At the traffic lights you will see the Meath Chronicle shop opposite you. Take a left here and immediately go into the right hand lane. Take next right for town center. At the round about you will Solstice Arts Center on the left , take the third exit past the School. St. Joseph’s School on the left, this street is Railway Street, you will see Des Kelley’s Carpet Shop on the left hand side also. There is parking just after Des Kelley's behind the old bank for €4.00 per day, this is the closest car park to us. Drive past to the traffic lights with O’ Flaherty’s pub on the left. Take a left here (sign posts will be the Hospital, Mullingar, Athboy). Just about ¼ mile on left hand side is the GAA Football Pitch with the O’ Mahoney’s training grounds park in here again €2.50 for the day. You will see Dunne’s Stores Grocery on the left, continue walking untill you come to McDonald's on the left . Walk past McDonald's and take the first left here , Preston Place, then we are the first door on the right. Car Park 3 – 6 Mins- Drive over the Railway crossing taking the first right and park in the Meath County Council Car Park (free down the back on a Saturday). €2.50 mid week all day. Walk out the gate and turn right. You will pass Des Kelly carpets on the left, cross the road here and keep walking. Turn right at the traffic lights and walk down Trimgate Street. Drive straight into Navan, past the Hospital, go through first set of traffic lights and park immediately at the Navan O’ Mahoney’s GAA football grounds (just before Aldi) €2.50 per day. When you park come out and turn right towards town center. Continue walking straight through the traffic lights. You will see Dunne’s Stores Grocery on the left . Continue walking untill you come to McDonald's on the left . Walk past McDonald's and take the first left here onto Preston Place, then we are the first door on the right. Drive past the Ardboyne Hotel on the left and then you will see Maxol station on the left also. At the next left take the road for town center. (immediate left). At the round about you will see the Solstice Arts Center on the left , take the third exit past the School. St. Joseph’s School , this street is Railway Street, you will see Des Kelley’s Carpet Shop on the left hand side also. Drive a short distance ahead to the the traffic lights with O’ Flaherty’s pub on the left. Take a left here (sign posts will be the Hospital, Mullingar, Athboy). Just about ¼ mile on left hand side is the GAA Football Pitch with the O’ Mahoney’s training grounds park in here again €2.40 for the day. We recommend St. Thomas B&B 0469028917 , contact by phone only, if Elaine is unavilable to answer just leave a message and shell come back to you quickly.